Mamonde Malaysia has introduced its brand ambassador Park Shin Hye through a greeting video, last July during its official launch. In the video, Park greeted everyone and congratulated Mamonde Malaysia on the launch of its first counter at Aeon 1Utama. Looking perky and cute in the video, Park also announced that she will be visiting Malaysia this October. While we wait for her arrival here in Malaysia, let’s get to know her first! Born on 18 February 1990, Park has turned 26 this year. Her first acting debut was in 2003, in a drama called Stairway to Heaven, which earned her the Best Young Actress Award by SBS Drama Awards. Park’s career rose when she starred in the K-drama ‘The Heirs’ alongside Lee Min Ho, where she played Cha Eun-Sang. 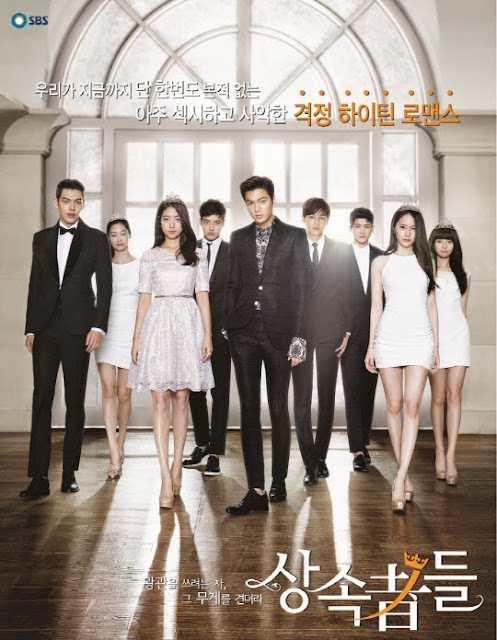 ‘The Heirs’ was a huge success in China with one billion views on Youku.com (a popular video viewing site in China) while Park had more than 11 million followers Weibo, the highest number followers for a Korean female actress. She was awarded the ‘Popular Foreign Actress Award’ at the Chinese Anhui Drama Awards. Park’s popularity continues to soar with her role as Choi In-ha in the drama Pinocchio which earned her Forbes Korea’s Top 40 Most Popular Celebrities. In the drama ‘Doctors’ that is currently airing on SBS, Park plays the female lead which makes her more popular than before. SBS expects to reach a 20 per cent viewership rating nationwide in the coming weeks with this drama gaining popularity. Park has won more than 23 drama and TV awards which also include the Prime Minister’s Award at the 6th Korean Popular Culture & Arts Awards and the Most Popular Actress (Film) at the 51st Baeksang Arts Awards in 2015. Park has been the face of Mamonde since 2014. She was selected because of her pure beauty and her multiple talents that fit the brand’s image and also the brand message, ‘Inspired by Flowers’. The very same year, Mamonde’s Creamy Tint Color Balm which was used by Park in the drama ‘Pinocchio’, saw a sales surge which earned the phenomena, the ‘Park Shin Hye Lipstick Effect.’ Similarly this year, Mamonde’s new Highlight Lip Tint #6 (Pin Spot) which happens to be Park’s favourite, which she also uses in the drama ‘Doctors’, was seen flying off the shelves. The brand hopes for the same phnomena for its new Cover Powder Cushion with the release of two new TV commercials in June, starring Park Shin Hye and K-pop boy group BTOB’s Sungjae. In the TV commercial, Sungjae was featured as being mesmerised by Park’s beauty which was complemented by the Cover Powder Cushion. The shades of the Cover Powder Cushion are light and bright just like the petals of the Peach flower which gave Park’s face the soft glow. Park recently engaged with 100 lucky fans at a Mamonde fan signing event at Aritaum, Korea. At the session, she wrote and handed out autographed postcards to each of her fans. Park also revealed her favourite Mamonde products which are the Highlight Lip Tint #6, Cover Powder Cushion and the Mamonde Flower Essence Masks on her Instagram. Ah, I would definitely be looking out for that announcement. She looks so gorgeous! Oh no.... I want to meet her!! October right?